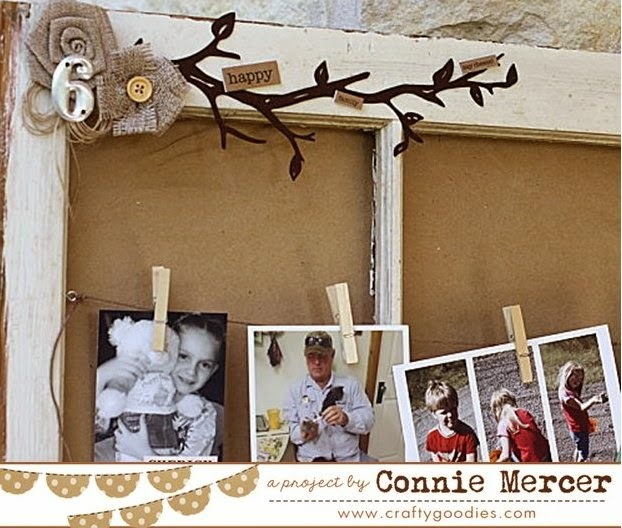 crafty goodies: Try It Tuesday~re-purposed window frame! window~kinda made a mess, but love how it all came together. to hang the photo's or cards from. Even kid art would look great on this. The embellishments are by Maya Road, Prima and Tim Holtz. The back board is cardboard covered in Kraft paper. I didn't have enough burlap (my first choice) to cover the back board so ended up going with the Kraft paper. I love this, Connie! You are so creative! When is grandbaby 6 due? That is a great idea and nicely done ! TFS ! I love your window art. 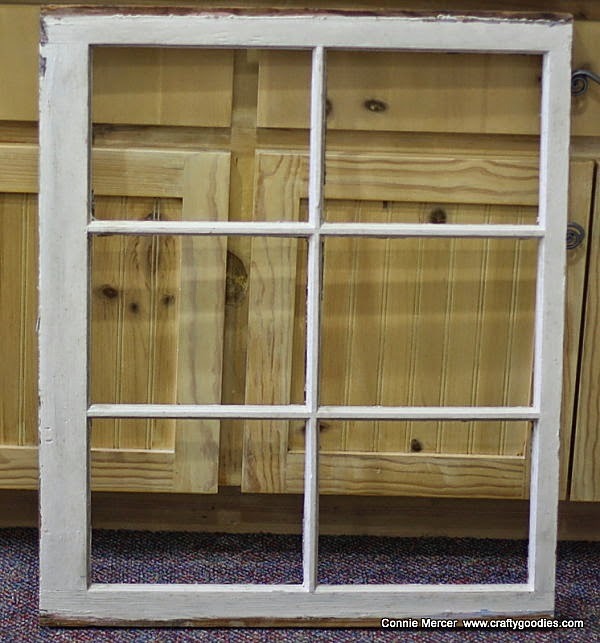 I saw some turn an old window into an incredible piece of art about 10 years ago which sold me on working with windows. One sits in my granddaughter's bedroom. Wonderful inspiration, Connie. Connie, you are blessed with such talent. If I did that it would just look like an old window! I'm so glad you are my friend! Beautiful!! I have one of those hanging in my entryway. No photos but decorated. Love it. Beautifully done, Connie! I recently hung two four-pane windows in my bedroom and I'm working on putting the finishing touches on. This was really pretty! Love it! This is completely awesome! Great off the page project!!! 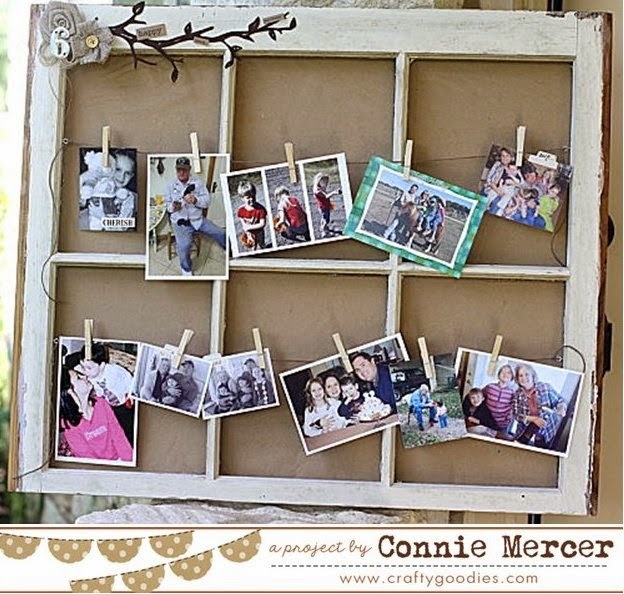 What a great idea, Connie - love the way you're showing those pics! Love the project and the photo! Oh my goodness that is fabulous!! !